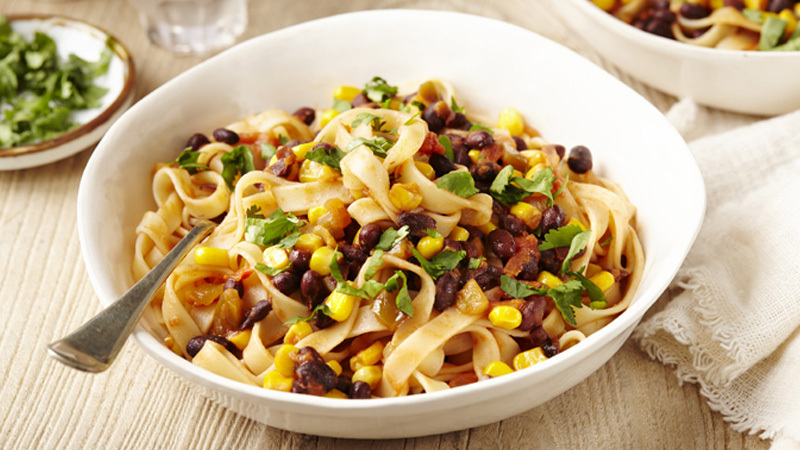 This quick, low fat and flavourful pasta will be a go to weeknight dish. 1. Cook the pasta to pack instructions, drain. 2. Meanwhile, in another saucepan, heat the remaining ingredients, except the coriander. Cook over a medium heat for 5 minutes, stirring. 3. Divide the pasta between the bowls and sprinkle with coriander. To make it meaty, why not add 200g shredded cooked chicken to the sauce.